You may not have heard of Chris Hadfield, I know I hadn’t before i started to see these awesome images he was taking from the International Space Station. He is being touted as one of the most social astronauts of all time. 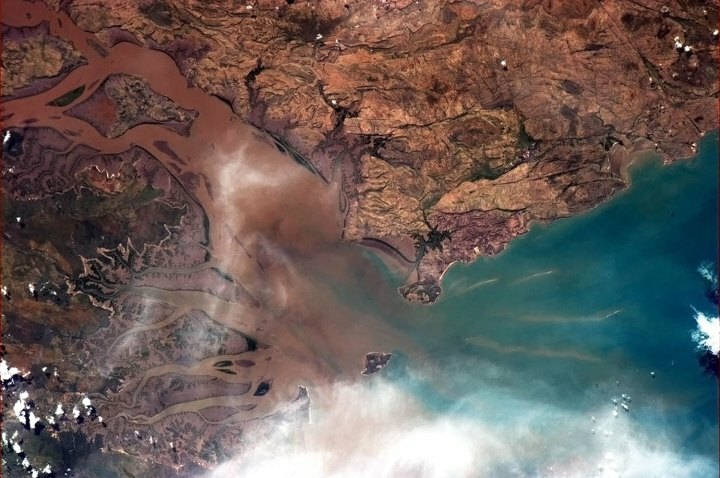 He is sharing his whole experience with the world through the use of his twitter account https://twitter.com/Cmdr_Hadfield He has so far shared several images of Australia including a picture of what I believe to be the end of the Murray River as it reaches the ocean. 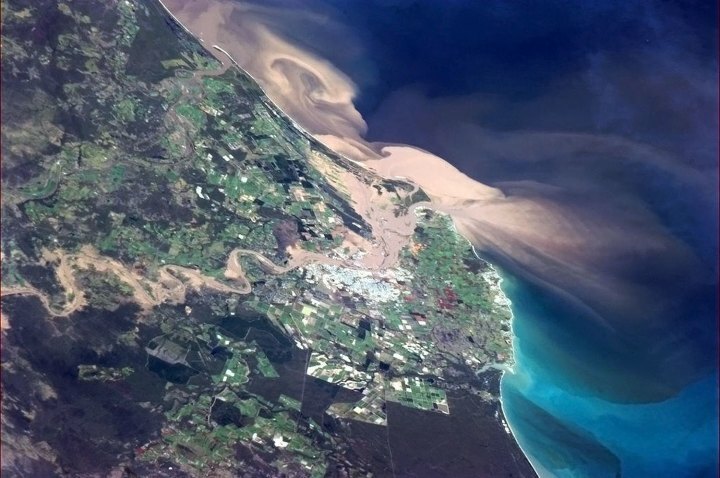 He has also captured Bundaberg when the floodwaters were rushing out to see here . These were the first images I had seen of Chris Hadfield’s exploits on the ISS, I began to search some more and found that he is even doing much much more. He is very active on twitter, he shares space sounds on Soundcloud He has hosted a cooking show from Space. He really is using Social Media exceptionally well. You will struggle to find a social media platform he is not sharing information on. 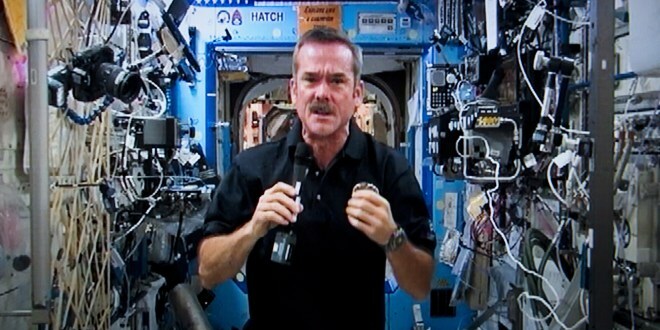 Chris Hadfield’s reports have made space cool again for a whole new generation of kids. I know when i was young I loved the idea of space and astronauts and this may be the reason for the attraction. Last Sunday he logged on to Reddit and held a “Ask Me Anything” session from space. People were asking questions such as Is it challenging to brush your teeth in space?, How do you clean up a mess in space?” and “Do you eat space ice cream?”(asked by a 5 year old girl) So what does Chris do? He gets his video camera out and records a demonstration on how to Brush your teeth in space. On his reddit page he had over 7000 comments. There was some great comments and questions and it is a great read if you have the time. He is very open and provides some great answers to questions I know I have always wanted answered. He has some great fun with his posts, One of the post’s is titled “How to eat as much as you want and remain weightless” In the video he talks about how to make a peanut butter and jelly sandwich. Something so simple yet it is complicated because of the Zero Gravity. They use tortilla bread instead of real bread as the crumbs from real bread can be troublesome. At the end of the video when we has finished the honey has stuck to his fingers and as there is no wash basin he uses a simple “Baby wipe” to clean his hands. It really shows some items are very high tech and some are as simple as a baby wipe.